Victoria Colotta is an artist, author, and award winning graphic designer for her work at VMC Art & Design. With a BFA from the School of Visual Arts in NYC and a voracious need to constantly be reading, Victoria managed to merge the two loves in her life…art and books. As an artist, she is constantly exploring new ways to create and share her artwork. As an author, her goal is to write stories that she would love reading no matter what the genre and push herself to explore all the aspects of her characters. Spending most of her day in her studio with her crazy dog Lizzy, Victoria loves to stay connected with readers, fellow book nerds, coffee addicts, and artists through social media. Catch up with her on Instagram @artbookscoffee, Facebook, or Twitter @vcolotta to see what she is reading, writing, drawing, and whipping together in her kitchen. Want the latest from Victoria? You can follow Victoria on Instagram @artbookscoffee, Facebook, or Twitter @vcolotta to get the latest about what is going on in her world. Also, if you sign up for her email newsletter, you will get the latest about her writing, novel releases, exclusive excerpts, her artwork, and some thoughts from her highly caffeinated mind. As a bonus, you will be the first to find out about giveaways as well as be entered into giveaways for newsletter subscribers only! Sign up by clicking here. 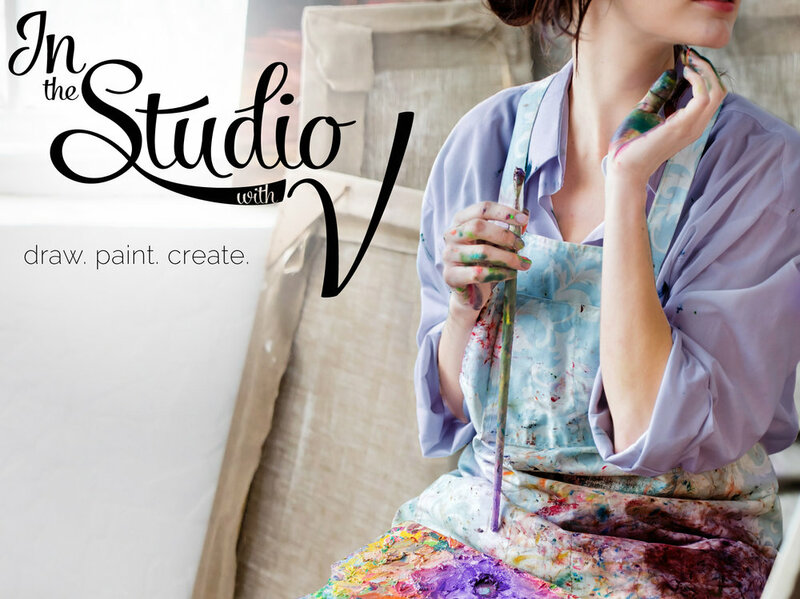 Join Victoria in her studio! Henri Matisse once said that creativity takes courage. It is with courage and a large cup of coffee, that Victoria steps into her studio each day. Whether it be painting, drawing, working on typography for a new product, or diving into a new book project, Victoria is always trying to put art into the world with her own spin on it. In her portfolio, you can enjoy some of the drawings, paintings, photos, and artwork that this Highly Caffeinated Artist has created over the years.